James Joyce autograph letter signed to his friend, the sculptor August Suter. 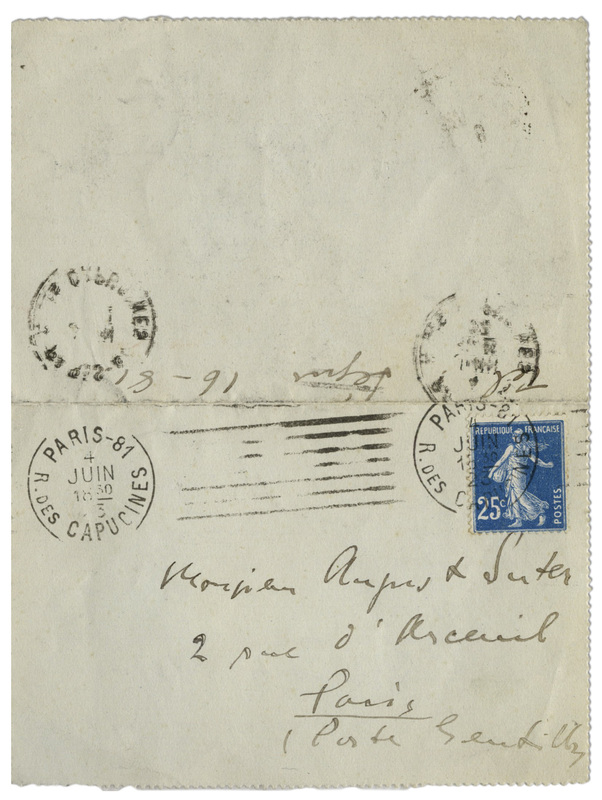 Written on stationery that folds to create an envelope, Joyce writes to Suter on 4 June 1923 from Paris, with corroborating postmarks on verso. In German, letter translates in full, ''Dear Mr. Suter, / Unless it is inconvenient for you, I will bring you the pictures next Thursday afternoon. In the event that you might not be at home, you could telephone me, so that we will be able to set another date. / Kind regards from both of us to Mrs. Suter and to you. 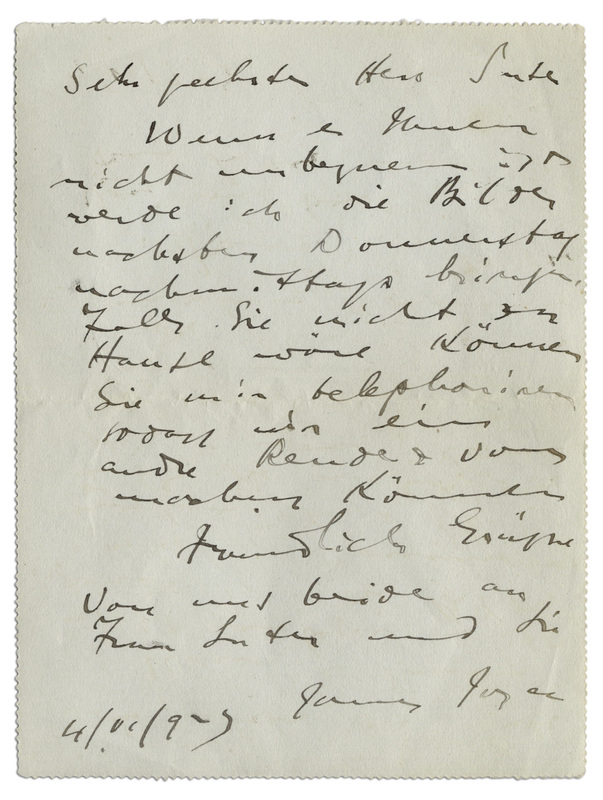 / James Joyce''. 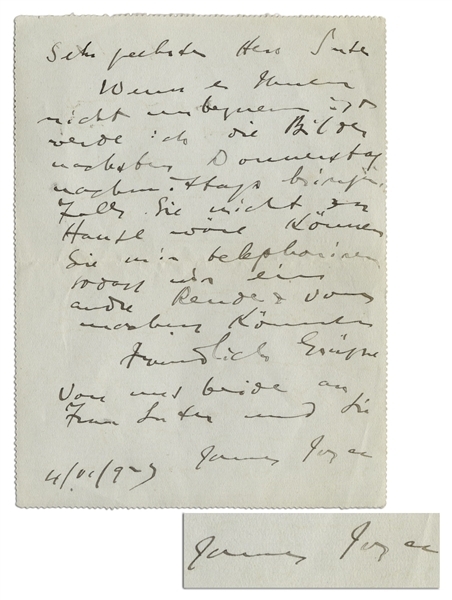 At this time, Joyce had just finished his magnum opus ''Ulysses'' and was beginning to write again, after having taken more than a year off. Letter measures 4.5'' x 6''. Fold, else near fine.